When my copy of Steeped arrived in the mail, I sat and turned through the pages, salivating at all the delicious foods pictured there. The pictures and layouts had me dreaming of hosting tea parties and warm summer soirees. Life happened and I only ended up having time to make three of the recipes in the book. They were each from a different section of the book and each called for a different kind of tea. I live in a small, rural town so I decided to make recipes with ingredients I knew I could find here. I ended up choosing Mint Pea Soup, Smoky Tomato Soup with Parmesan Thyme Crisps, and Blueberry Scones with Rooibos Honey Butter. Overall, the recipes were easy to follow. I really liked the creamy tomato soup and the crisps added crunch and flavor that paired wonderfully with the soup. The blueberry scones were easy to make and the honey butter made them extra decadent. The mint pea soup ended up tasting mostly just of blended peas and wasn’t a favorite at my house. While each of the recipes called for a different tea, none of the teas ended up being a dominant flavor in the end. I kept searching for their flavor in each of the dishes but never found I could distinguish them. I was hoping for more distinct tea flavors in the dishes. 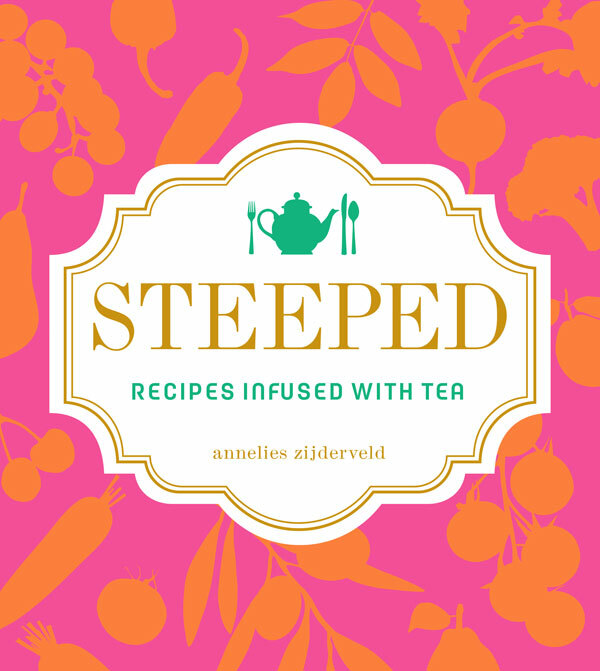 I am looking forward to trying more and more of the dishes in Steeped. Maybe one day I’ll actually get to host a tea party and serve one of the whole menus found in the book. Until then, I have a beautiful book full of gorgeous food pictures and great recipes to add to my recipe book collection.